ONE LEVEL NO STEPS TO UNIT FROM CARPORT! 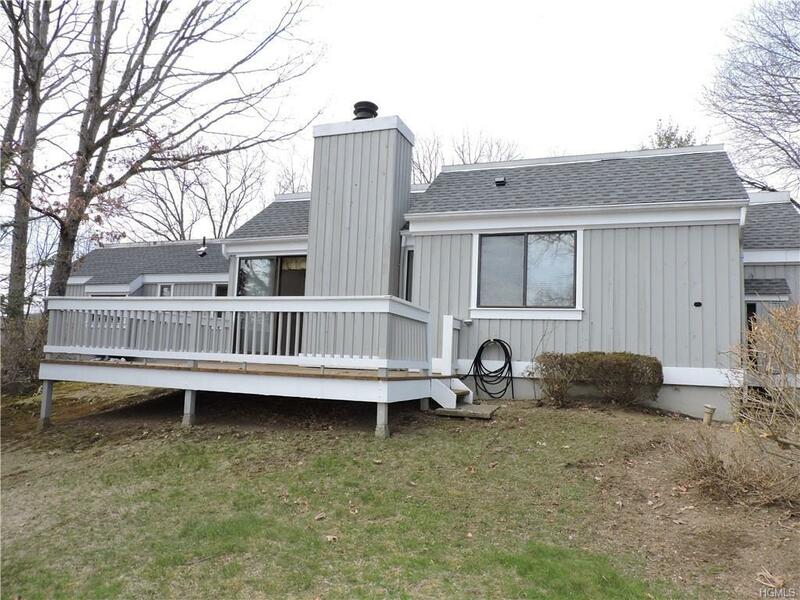 2BR/2BA Madison with newer kitchen and brand new carpeting throughout. Short, easy walk to carport. Small, friendly cul-de-sac with 3 other units. Newer oversized walk-off deck with private wooded view and no other condos in sight! Short stroll to Pool #2. Enjoy condo life with 7 Tennis Courts, 5 Pools, Clubhouse, Organized Activities, Fitness Center, Bocce and Jitney service to Metro North train station - 1 hr. to NYC. Low common charges, NO assessments and roofs just done in 2016/2017. AC Unit replaced 2008, Water Heater replaced 2011. Easy to show so please make an appointment today! Monthly charges = $333.44 (common), $125.65 (society) and $48 (sewer). Water billed quarterly. Listing courtesy of Lois Hanley of Coldwell Banker Res Brokerage.